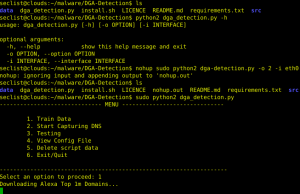 Browse: Home / DGA-Detection : DGA Domain Detection using Bigram Frequency Analysis. More and more malware is being created with advanced blocking circumvention techniques. One of the most prevalent techniques being used is the use of Domain Generation Algorithms which periodically generates a set of Domains to contact a C&C server. 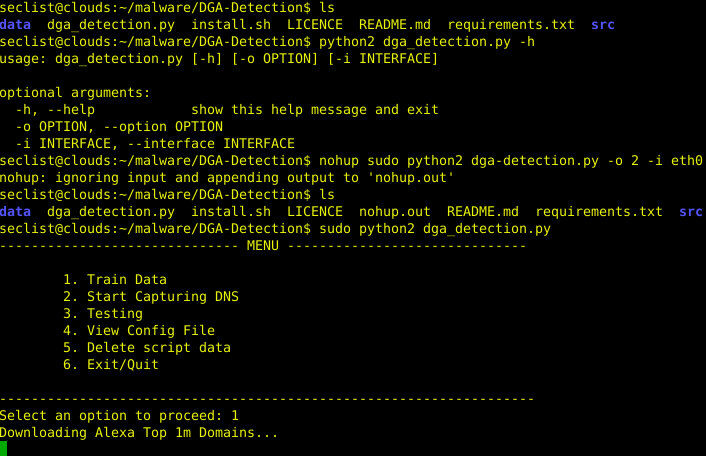 The majority of these DGA domains generate random alphanumeric strings which differ significantly in structure to a standard domain. By looking at the frequency that a set of bigrams in a domain occur within the Alexa top 1M, we were able to detect whether a domain was structured with a random string or if it was a legitimate human readable domain. If a domain is comprised nearly entirely of low frequency bigrams which occurred rarely within the Alexa top 1m then the domain would more likely be a random string. Bigrams of a vowel and constants occurred the most frequent whereas characters and integers occurred the least frequent. The script was ran against 100,000 GameoverZeus domains and had a detection rate of 100% and a false positive rate against the Alexa top 1m of 8% without any domain whitelisting being applied. This System has been tested on Ubuntu, Debian 7-9 and RaspberryPi. Currently I have my raspberrypi setup as a DNS server using Bind9. 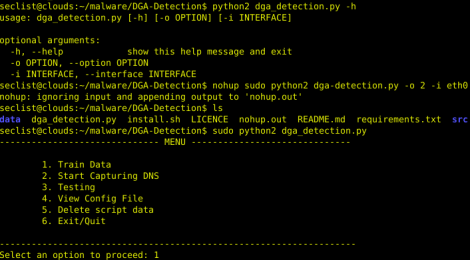 The DGA-Detection script is also run on the raspberrypi and reads the requests. ← brutedet – Simple bruteforce detection tool.